Last weekend’s retreat was wonderful. There were impressive projects being completed throughout the weekend: photobooks, bullet journals, fancy zippered pouches, tote bags, knitting projects, and episodes of Sherlock. I had my first spinner attend the retreat: a yarn spinner, not a DJ, although it didn’t stop us from making DJ scratching sounds every time she went to go spin. We’re hilarious like that. While everyone else is working to #completeatretreat, I spend most of my time cooking meals. And I really love it. I just cook the food I like, and hope that the guests like it, too. I don’t think I always did that. I struggled in my early retreats to balance what I wanted to cook, and what I thought guests would want to eat. If I dared to try something different, I was haunted by the giant plate of leftovers and further divided about what to do next time. But I’m in a new chapter now. I’m the boss. I’m going to embrace that. 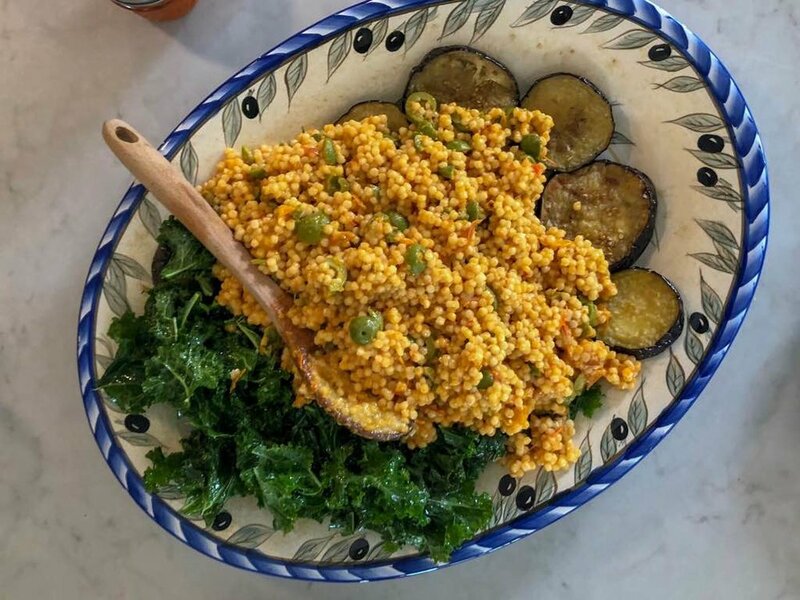 I served some familiar meals, like the charcuterie and cheese platter on Friday night, but I also made a pearl couscous lunch with roasted tomatoes and olives, with discs of eggplant and a lemony kale salad. And I served a roasted rack of pork with lots of earthy fennel flavours and a salty, crispy crust that fell apart when I sliced it but then I just scooped it up and sprinkled it on everyone’s plate. It’s so nice to just cook what I want, and trust that the guests will love it, too. 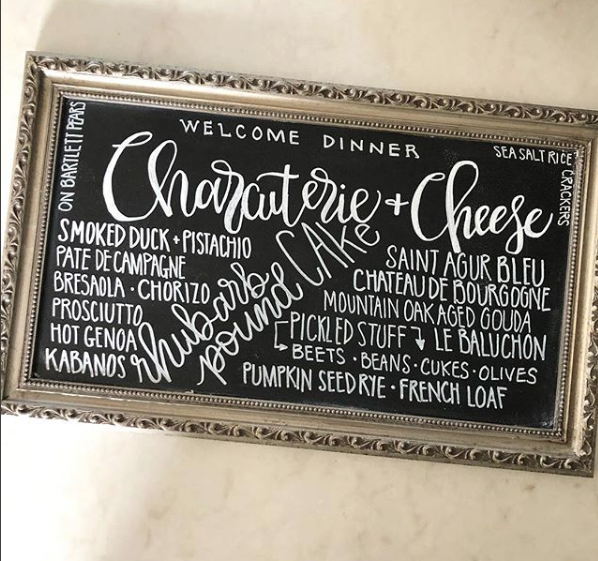 Most retreats are filled with recipes and inspiration from Ina Garten. Although she is my forever-chef-crush, this past retreat was inspired mostly by Deb Perelman’s recipes. 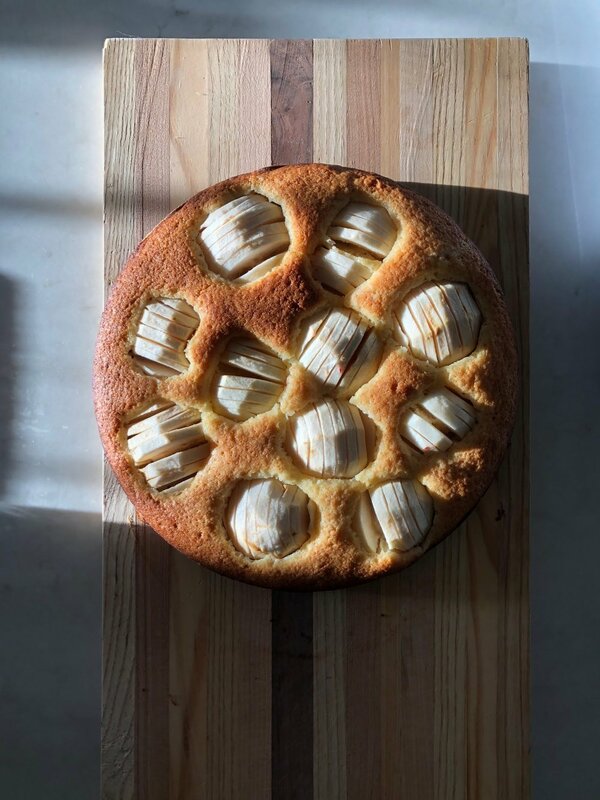 She has such a wonderful Instagram feed that links to recipes old and new — but always in the right season. I imagine she is actually making all these things in her small NYC apartment in real time. Registration for my 2019 retreats is open. I decided to offer 4 retreats this year. Why not. If there isn’t enough interest, then I’ll just cancel one, or merge them together. You guys don’t mind if I mess around and try new things, right? It’s so nice being the boss. Come for the surroundings. Come because your project pile is neglected and growing. Or come for the really delicious food. You get to see how much love I put into the meals, eat everything, and then not have to wash a single dish. It’s a pretty sweet deal. There is an early bird discount right now for $50 savings if you register before the end of the year. As added incentive, I’m doing a draw to win my extra copy of the amazing Handmade Getaway book. It’s a limited edition hardcover copy! The book is fabulous, filled with project ideas, guides, tips, and planning details to host your own amazing handmade getaway. All early-bird registrations will be automatically entered into the draw. Hope to see you soon. xo.